Bradley holds a diploma of Remedial Massage as well as an advanced diploma of Myotherapy. Bradley is passionate and committed to providing soft tissue treatments and advice that will enable you to obtain the optimal results for your body. Bradley specialises in deep tissue massage, dry needling and providing advice and rehabilitation for common postural and sporting conditions. 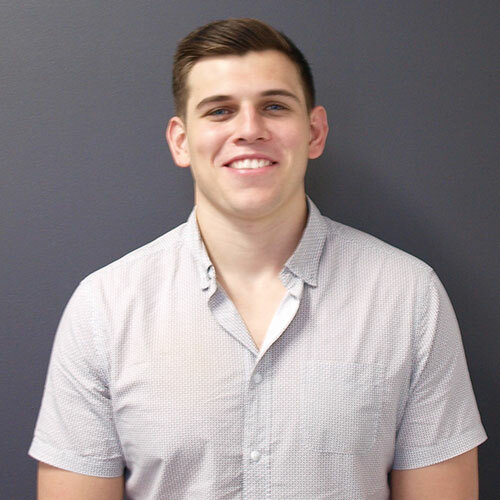 Bradley has gained further experience working with; Melbourne United Basketball Club (NBL), Hawthorn Football Club (VFL), Old Xavarian’s (VAFA), Australian College of Basketball (ACB), National Institute of Circus Arts (NICA), Indigenous Round (AFL), under 18’s Tasmanian Football Squad and AFL draft camps. Brad has a strong sports background, playing rugby for over 12 years also playing AFL and Basketball. He has a keen interest in sports injuries, management and maintenance which is fueled by his love of sport and the satisfaction he gets from seeing people return to their full potential.